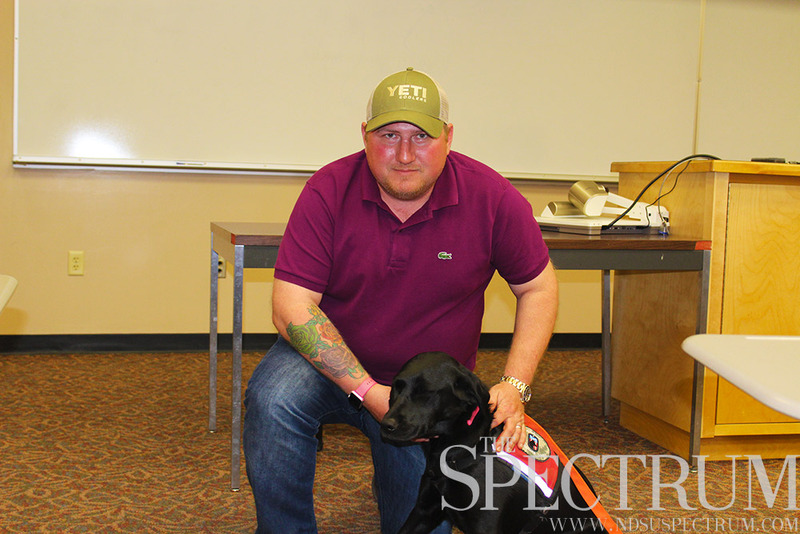 Geoffrey Zehnacker with Betty, one of his service dogs. If so, you have probably seen Luke or Betty, the service dogs that accompany Geoffrey Zehnacker around campus. Zehnacker served in the Marine Corps for over 14 years before being medically retired in 2010. Zehnacker ran a patrol that looked for mines and IEDs in western Iraq and was exposed to multiple close explosion encounters. Betty is taking over for Luke, who has worked as Zehnacker’s service dog since 2009.
time, but it turned out I was stacking concussion on top of concussion,” Zehnacker notes. Due to his injury, Zehnacker suffers from absence seizures. “If my brain isn’t engaged, I’ll lose all sense of space and time, I’ll just be out,” Zehnacker said. Despite the benefits of service dogs, the Veterans Affairs Department currently only provides service dogs for veterans with physical disabilities (although the department currently has a study underway assessing the effectiveness of service dogs for veterans dealing with psychological issues). 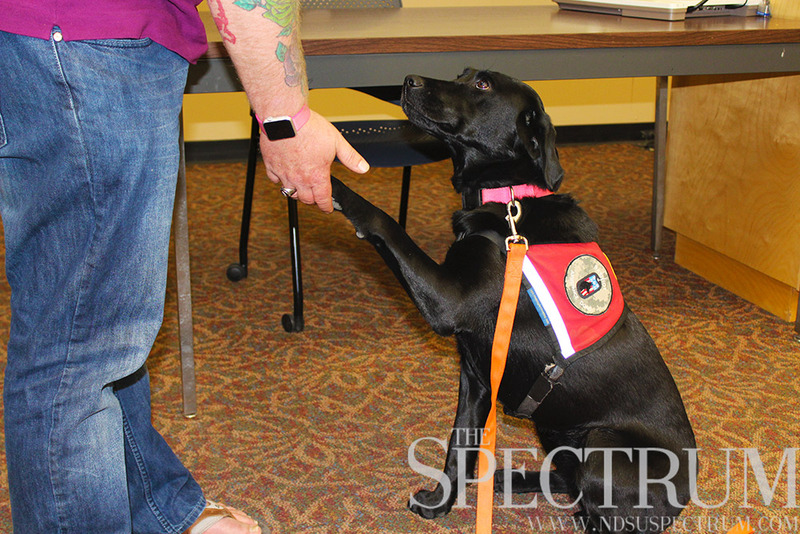 “I have no doubt that at the end of the study, they will realize the benefits of service dogs for veterans with problems other than physical disabilities and begin supporting it,” Zehnacker said. In the meantime, there are other options for veterans like Zehnacker. Zehnacker worked with trainers to train Luke (who he has had since a puppy) as a service dog, and began utilizing Luke as a service dog in 2009. 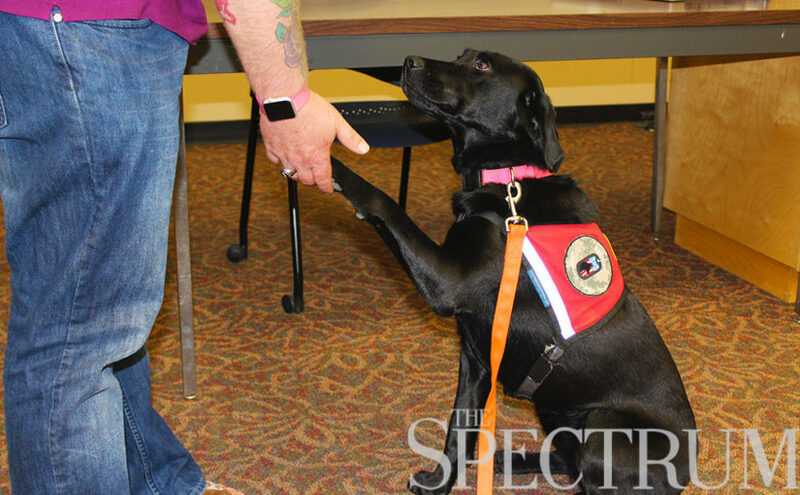 Now that Luke is nearing retirement age, Zehnacker has been working with Betty from the Patriot Assistance Dogs program in Detroit Lakes, which provides service dogs to veterans at no charge. Luke will continue to work as Zehnacker’s service dog, but now only works on Thursdays and stays home while Betty takes on the majority of the work. Zehnacker is currently a grad student in the Human Development program and is pursuing his PhD.